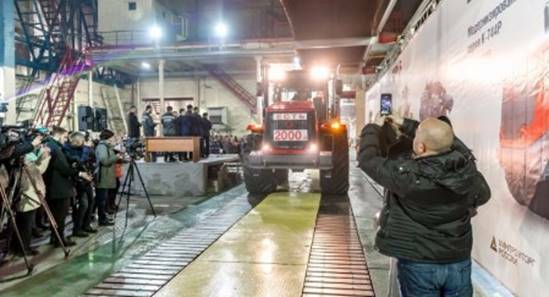 In November our factory held a major event, celebrating 2 worthy causes | MTZ Equipment Ltd. Since the days of the Soviet Union, 2,000 K744 is the largest annual production volume we had. This is an increase over 2015. In 2017 we forecast to produce over 3,000 units. New automated air shift system goes into volume production. The new automated air shift system was dictated by current market demands. In rural areas, farmers are changing generation. In place of fathers, children take over, who are accustomed to vehicles with automatic transmission and are not willing to master the mechanical levers and controls. 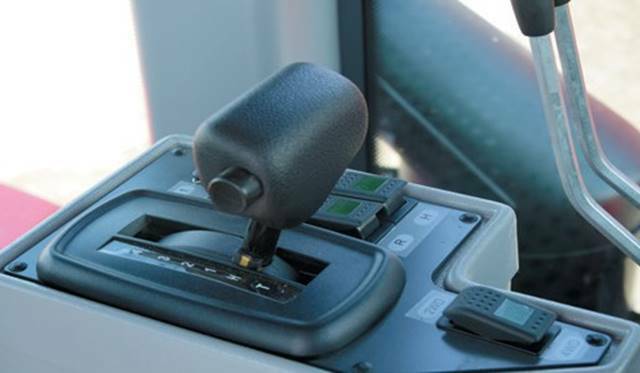 In addition, the automated shifting ensures that users do all the operations in the correct order, and do not damage the equipment. 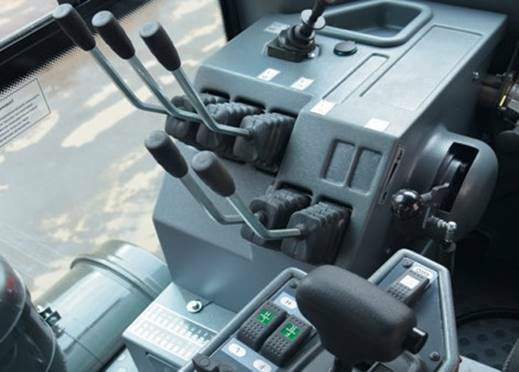 Air shift system development started in 2014; by the beginning of 2015 we produced the first test tractors with the automated T5 "Command Post" transmission control system. Instead of multiple levers, the tractor is now equipped with a joystick shifter and intuitive buttons. Prototype tractors were field tested for over 2 years. The test tractors were run for over 2,000 hours, through winters and summers, with no breakdowns in the airshift system. In 2016 we started low volume production: over 350 tractors were produced up to day with the automated shifting. From now on, all K744 will be produced with the new system. Since 2015 the K744 is a market leader in East Europe and Russia. 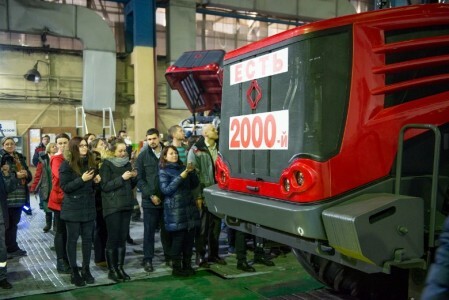 In Russia the K744 is holding about 70% market share in high power tractors segment. The K744 is also exported to many markets, including Germany, France, Australia, Canada, USA etc. It is popular in export markets because of a modest cost it offers, simple mechanical design, and luck of complicated / unreliable electronic components. Auto steering/GPS. This year over 370 tractors were equipped with the system. K744 offers outstanding value and strong parts support for both past and present models. This can be done because unlike most competitors, we maintained in-house production for most of the over 7,000 parts which are used in K744 assembly. In-house production includes transmission box, final drives, main frame, cab, fuel tank, 3 pt hitch, drawbar etc. We asked the factory GM : How many tractors can you deliver in 2017 , after the plant already doubles the output compared to the previous years ? - If needed, we can produce up to 5,000 units per year, but the real issue for us is to build up the volume gradually, taking into account the capabilities of our vendors - Engine manufacturers, tire suppliers, electrical components providers etc. We have a very competitive product and a strong market demand. So we can safely forecast further production growth for 2017.